A while ago I received the Spire Edge, a simple but stylish sleeve for your laptop. 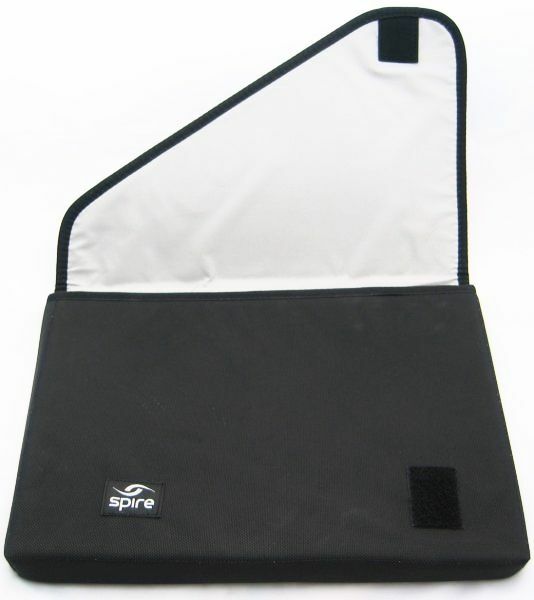 Spire is based in Boulder, Colorado and their goal is to design and manufacture the finest laptop backpacks and bags on the planet. A year ago I reviewed the Spire Endo messenger bag and this product turned out to be pretty good. The Endo is perfect for traveling with your notebook and some other things like a notebook adapter, notebook mouse, your MP3 player and some things to read. 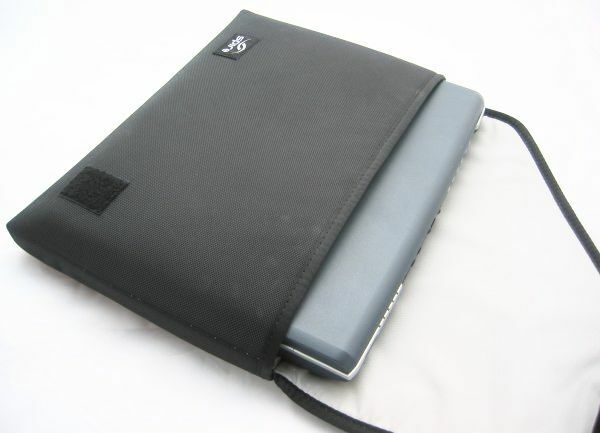 The Spire Edge on the other hand is just a light-weight sleeve, there's no room for anything else but your notebook. It's designed to travel light, you can take it under your arm but you can also use it to better protect your laptop in your backpack. 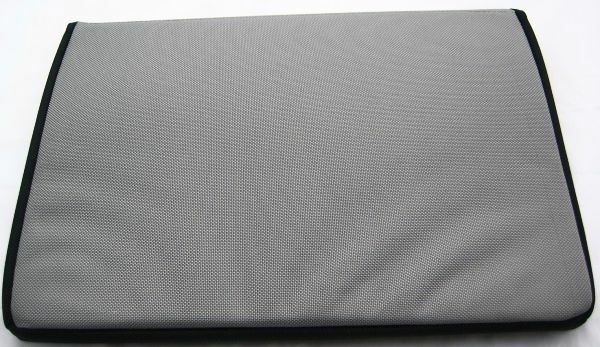 The sleeve will protect your laptop from damage and will make sure it doesn't get dirty. Edge 13: 13.0" x 9.25" x 1.25"
Edge 15: 14.5" x 9.75" x 1.25"
Edge 17: 15.5" x 10.25" x 1.25"
Each version is available in Stealth Black and Arctic Gray/Black. The firm writes on its website the Edge sleeve is designed for both Macs and widescreen notebooks, but as you'll read a couple of paragraphs below the Edge is mainly designed for Apple's MacBook lineup. 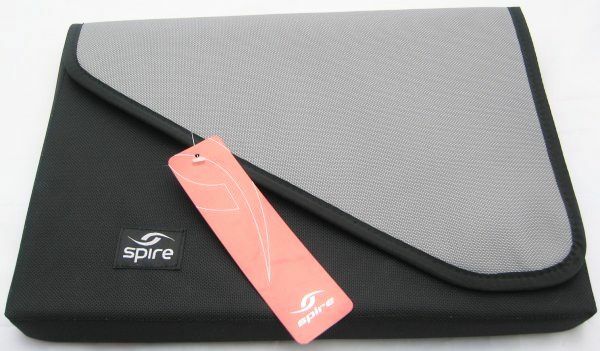 Pictured below is the Spire Edge 15 Arctic Gray/Black. The rugged sleeve is made of 1680D Ballistic nylon and the interior features smooth, padded 210D nylon. 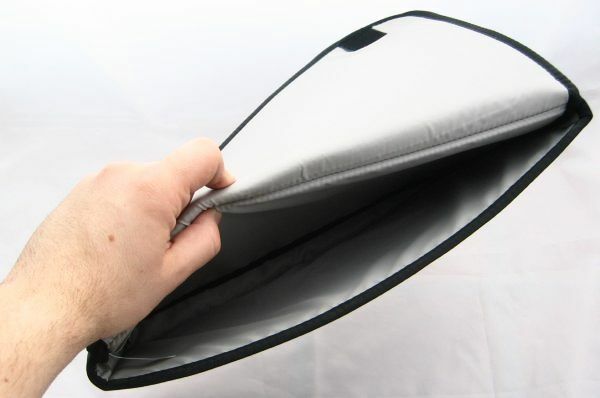 The design of the sleeve is very basic, it's a bit more than an inch thick and there's a triangular flap that secures with Velcro. Just enough room for a laptop and perhaps a couple of papers. The Edge is designed to hold Apple MacBooks, if you don't have a MacBook you'll need to take a good look at the specifications because I can't guarantee your notebook will fit in this bag. I tried the Spire Edge with a couple of notebooks, including a Dell Inspiron 6000 and an old 15.4" Toshiba but none of them would fit. The Spire Edge doesn't really stretch and my notebooks were simply too big and too fat for the bag, only for MacBooks it offers a perfect fit. If you have a MacBook and are looking for some extra protection you should consider the Spire Edge. It's a pretty simple but professional looking bag. It's made from good materials, it should last for years and at $20 it won't break the bank. 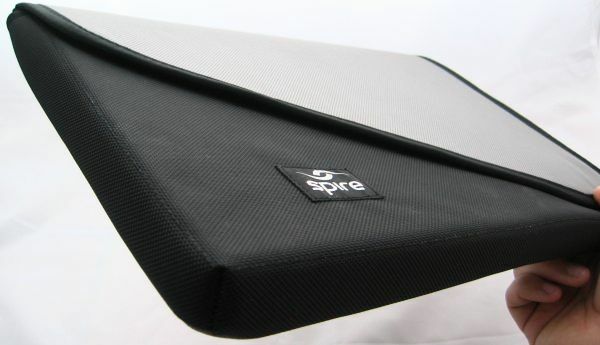 I give the Spire Edge laptop sleeve a 8.5/10.